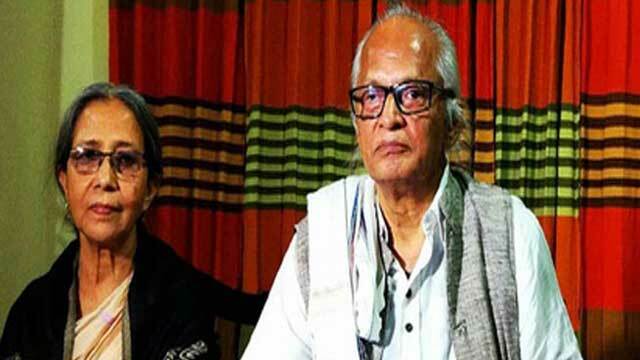 Dhaka, Dec 28 (Just News): A case has been filed against columnist Farhad Mazhar and his wife Farida Akhter on charge of lodging a case with 'false information' over the poet's alleged abduction. Documents of the prosecution case filed by Detective Branch inspector Mahbubul Islam with Adabar Police Station in the city were sent to the Dhaka Chief Judicial Magistrate Court by post on Thursday, said court's non-GR section officer Alam Miah. On December 7 last, a court asked police to file a case against them for staging a 'drama' of abduction of the poet. Dhaka Metropolitan Magistrate Khurshid Alam had passed the order accepting the final report submitted by the DB police in a case filed over the alleged abduction. On November 14, DB inspector Mahbubul Islam, also investigation officer of the case, submitted the final report to the court mentioning that they did not find any proof of abduction. The final report had also called for taking action under sections 109 and 211 of the penal code against Farhad Mazhar and his wife for filing a 'false' case of abduction. On July 3 last, family members claimed that Farhad Mazhar had been kidnapped by unknown miscreants from Adabar in the capital in the early hours of the day. Later, police found him in a bus of 'Hanif Paribahan' in Jessore around 11:30pm on the same day while he was returning to Dhaka from Khulna. His wife filed the case with Adabar Police Station. Later, the case was transferred to the DB.